'We had enrolled our son as a beginner at MiniRinx in the 4 - 6 year age group last season. At the time, he barely knew how to skate and had never even so much as held a hockey stick on ice prior to that. He had been in skating lessons before MiniRinx, but we were not impressed, to say the least. After just a few weeks with MiniRinx, we could already see noticeable improvement! We watched each week in amazement as he went from shuffling his feet and being nervous to lift them off the ice in fear of falling, to actually taking small strides and being able to get back up on his feet when he did fall. 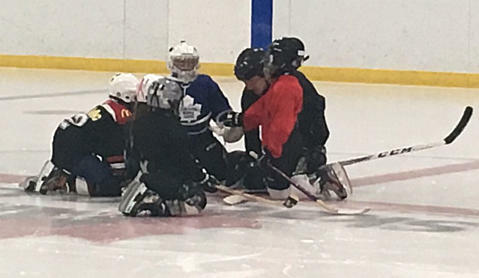 MiniRinx offers quality weekly hockey lessons for kids in their home town by providing a highly interactive experience in a small group, circuit-style training format. 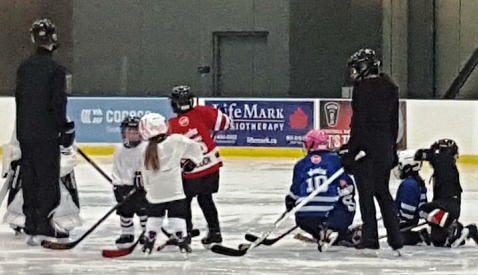 In doing so, MiniRinx strives to inspire a love for the sport of hockey. 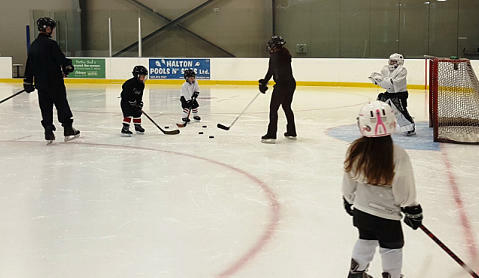 MiniRinx offers quality weekly hockey lessons for kids in their home town by pro- viding a highly interactive experience in a small group, circuit-style training format. In doing so, MiniRinx strives to inspire a love for the sport of hockey.